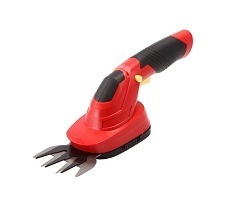 Keeping the diverse requirements of customers in mind, we are instrumental in providing Handy Shrub Shear. Our precious clients can avail from us an extensive array of Cordless Grass Shear Power Tool. Our offered power tools are manufactured by workforce using top quality of material and advance technology as per with the industry standards. We provide these power tools in numerous specifications as per the need of customers. 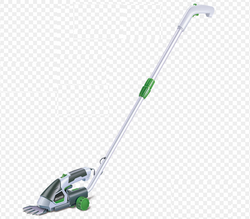 We are the leading provider of Cordless Grass Shears. - Multifunctional: the Isio is more versatile than ever before thanks to a new range of “Multi-click attachments. - Compact and lightweight: the ideal shape, size and weight for effortless operation. Cut your bushes and shrubs effortlessly. The shrub shears from Bosch with lithium-ion technology are handy, lightweight and ideal for shape cutting. Where other products stop working, the "Anti-Blocking System" ensures continuous cutting.